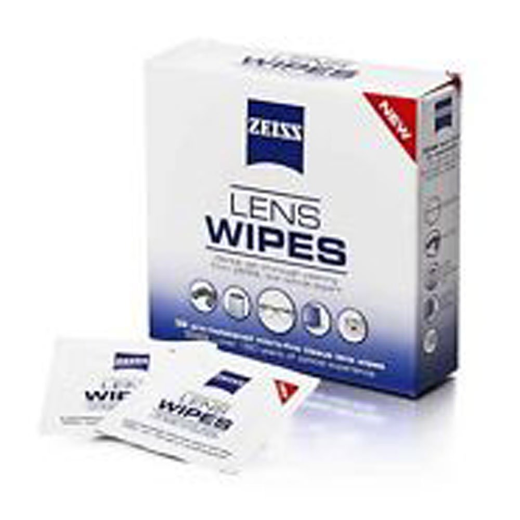 Zeiss Lens Cleaning Wipes safely and quickly clean most optics, including eyeglass lenses, laptop screens, camera lenses, sunglasses, cell phones and GPS screens. The pre-moistened wipes easily remove smudges, and the high tech ammonia free formula is safe for anti-reflective coating, leaving a streak free clean. Keep several of these individually wrapped, single use cleaning wipes on hand in your car, at work, around the house and at school. Comes in a box of different sizes.